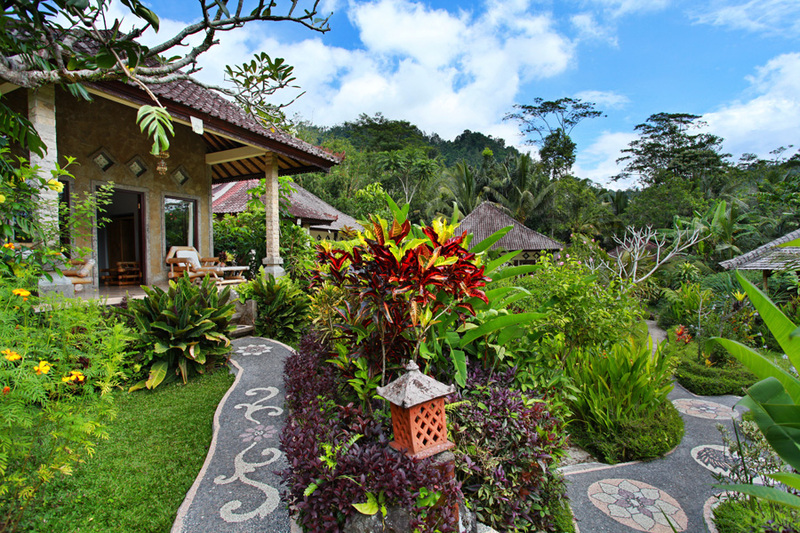 Great Mountain Views Villa Resort (GMV) features ten villas, all of them provided with private verandas facing the mountain, which enable our guests to enjoy stunning panoramic views of Mt Agung. 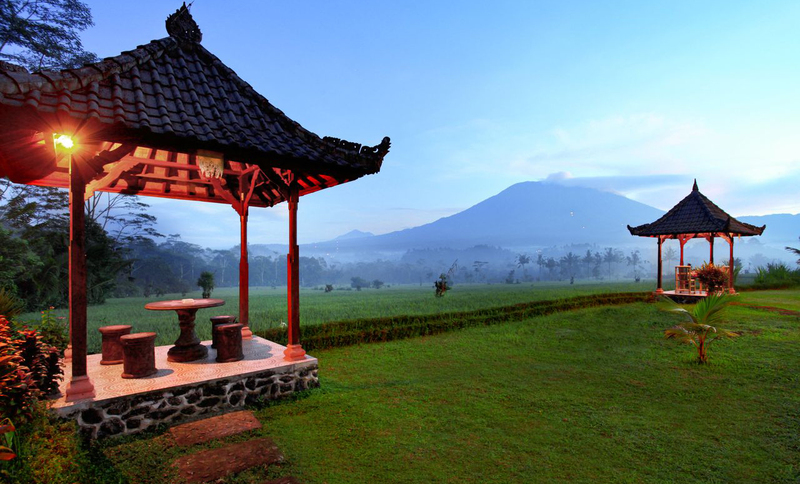 GMV moreover features an attractive, Balinese-style restaurant, two pagodas for private dining and a meditation hall that can be used, for instance, to practise yoga or meditation. In 2017, we built a swimming pool and restaurant which both boast fabulous views of Mt Agung and are the heart of the resort. 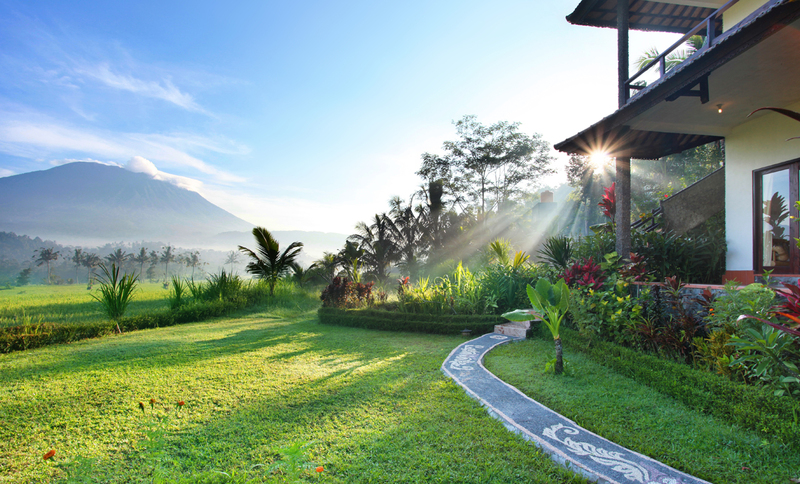 The resort is laid out amidst a luscious Balinese garden complete with organic vegetable patch, and it is surrounded by traditional rice fields and a fruit plantation. Guests are welcome to enjoy their breakfast on their own, private veranda or in the restaurant. 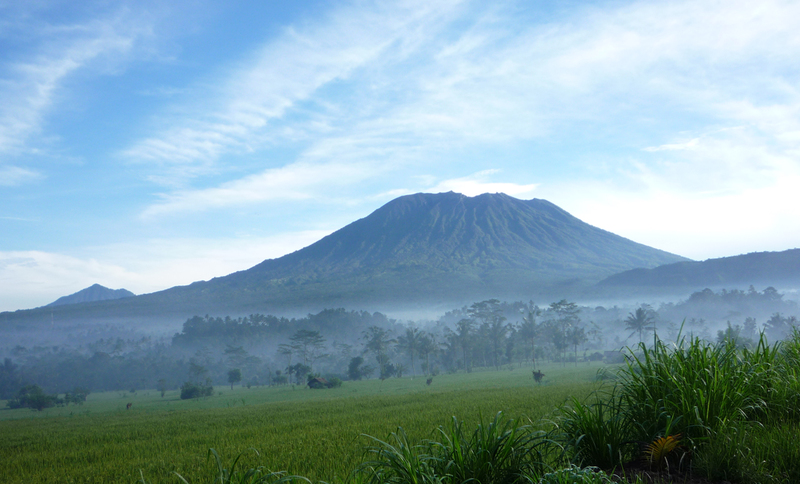 We were very fortunate in that GMV was built on land bordering the rice fields, which enables our guests to enjoy views of this ‘living landscape’ (elsewhere in Bali recognized by UNESCO as a World Heritage Site) without being detrimental to it. 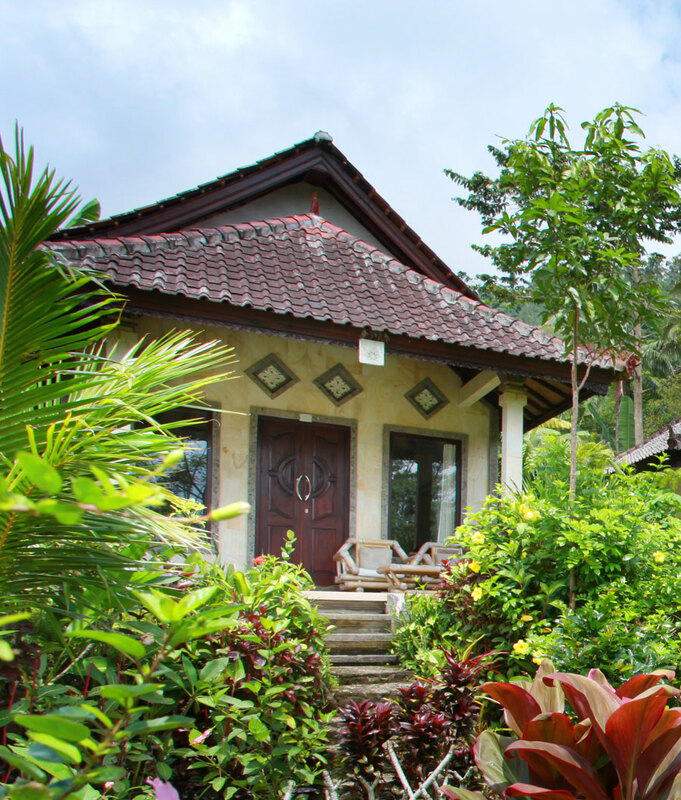 Jasmine Villa is our free-standing, single-storey villa. It’s perfect for couples or two friends, and can also be used by small families with young children (one small child or one baby per villa; additional charge applies for the extra bed). 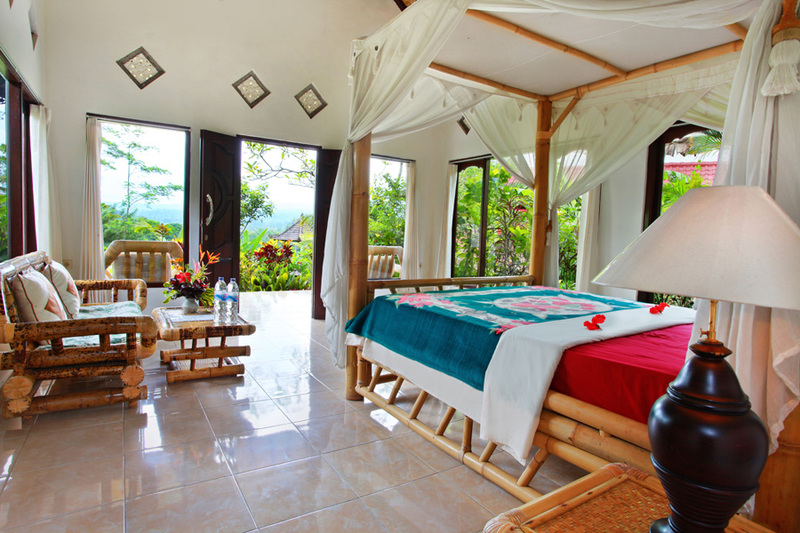 This 2 to 3-person villa is equipped with a double bed with integrated mosquito net; bamboo sofa and small table; half-open bathroom with sink, mirror, toilet and clothes airer; enclosed outside shower and bath, surrounded by romantic bathroom garden; cupboard with lock and safe-deposit box; fan; veranda with bamboo chairs or sofa as well as a small dining table and two chairs. Check availability or book this villa now. 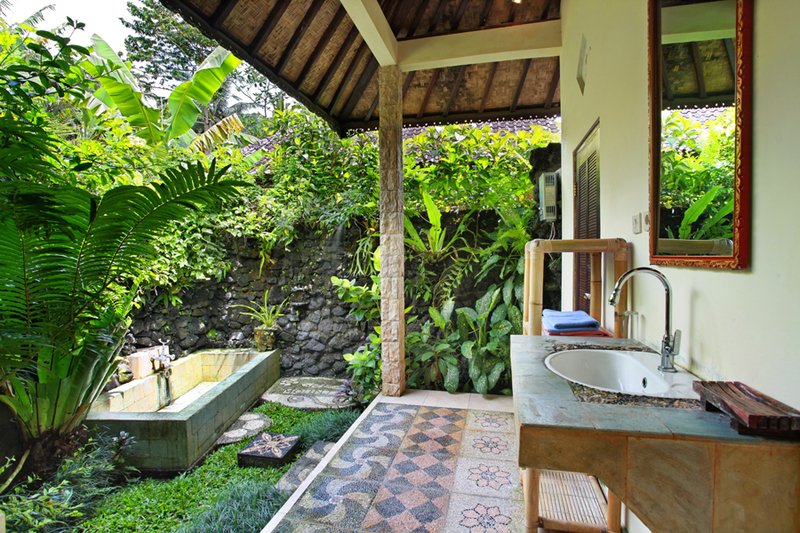 Lotus Villa is our double, single-storey villa, which can be booked as two separate units or as one unit connected by a door. Lotus Single Unit is often used by friends who prefer a twin-bed set up, while Lotus Double Unit is perfect for families with two to three children. 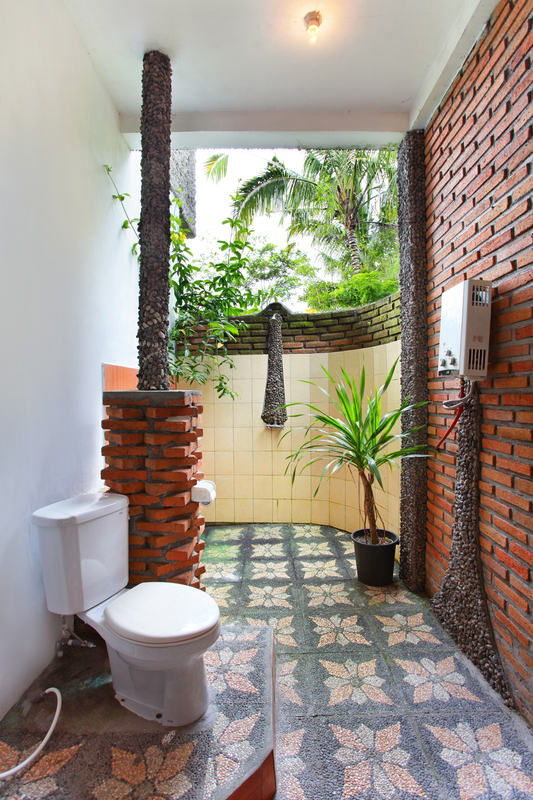 The advantage of Lotus for people travelling with children is that this villa effectively consists of two rooms connected by a door, which can be shut or kept open. If you are after a combination of space, privacy and being at a close distance of your children, Lotus Double Unit is the one for you. Lotus Villa is equipped per unit with a double bed or two single beds with integrated mosquito nets; bamboo sofa and small table; half-open bathroom with sink, mirror, toilet and clothes airer; enclosed outside shower and bath, surrounded by romantic bathroom garden; cupboard with lock and safe-deposit box; fan; veranda with bamboo chairs or sofa, as well as a small dining table and two chairs. 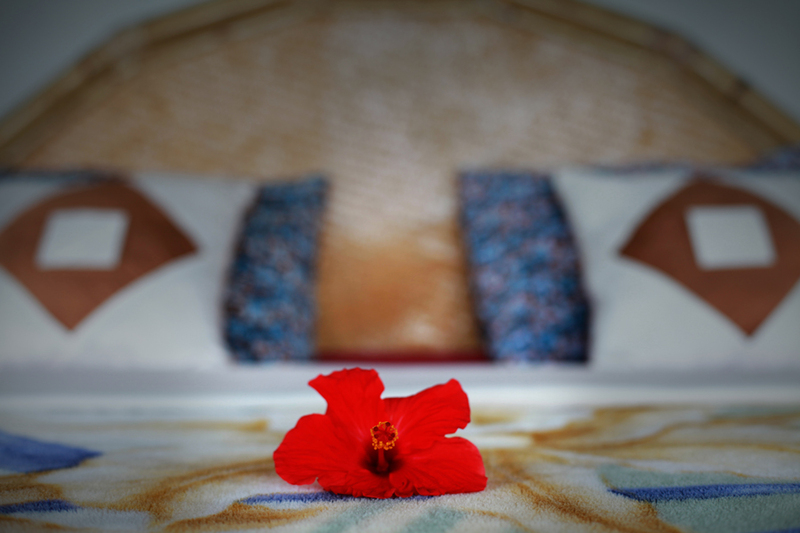 Frangipani Villa is the newest addition to the resort. 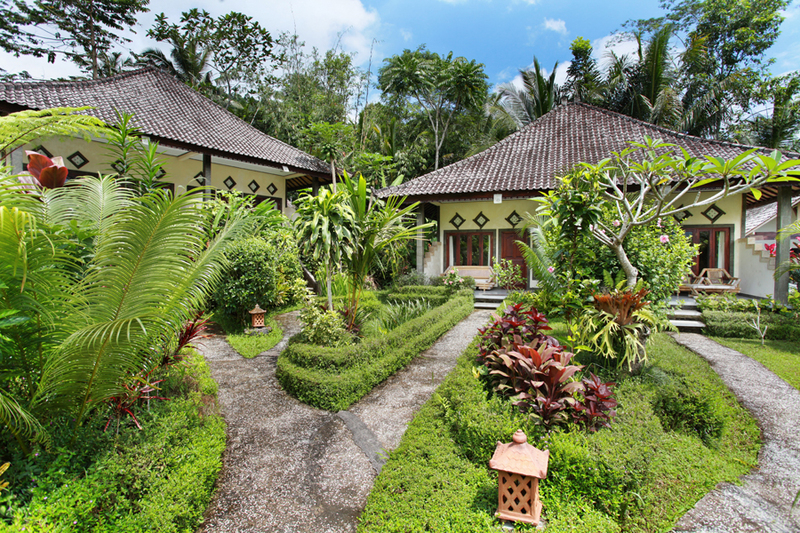 This two-storey villa can be booked in its entirety, or as two separate units. 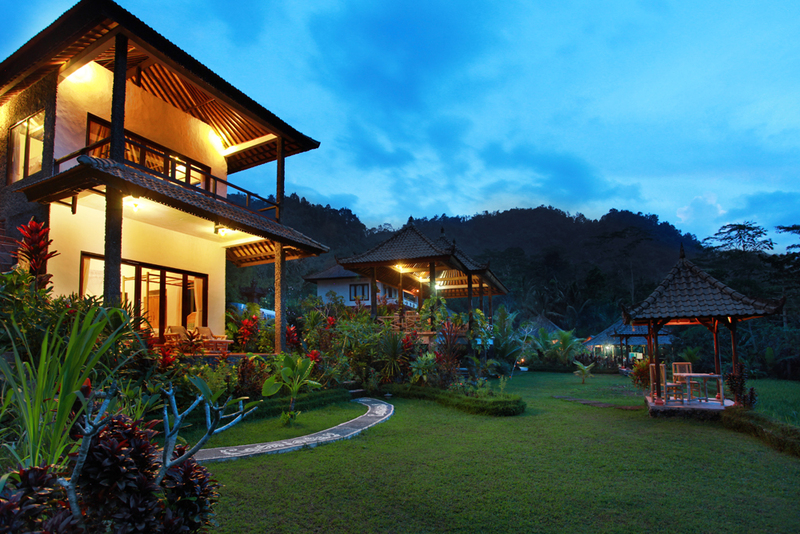 We currently have two Frangipani Villas. Each unit features one large double bed with integrated mosquito net and one small double bed with integrated mosquito net (not visible on photographs but now in place); bamboo sofa and small table; half-open bathroom with sink, mirror, toilet and shower; cupboard with lock and safe-deposit box; veranda with bamboo chairs or sofa as well as a small table and chairs. 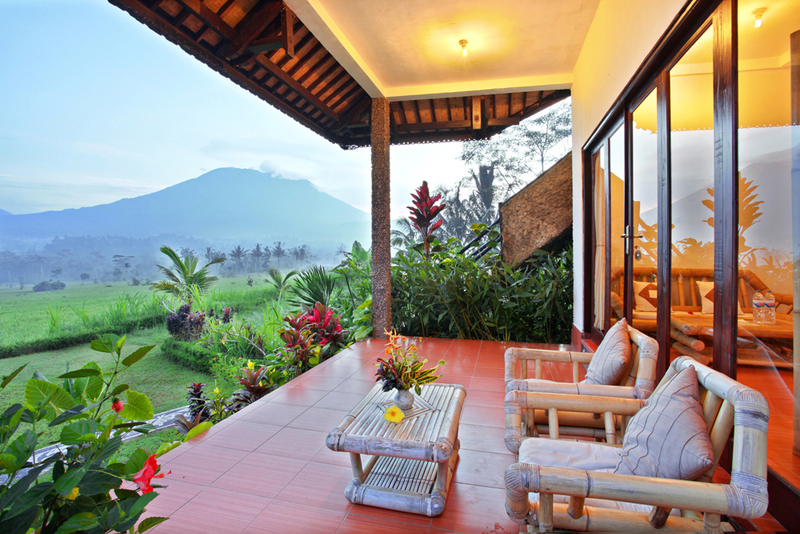 The top unit especially boasts magnificent views of the Mount Agung because of its large windows, while the downstairs unit still offers beautiful, direct views of the mountain. A double unit of Frangipani is an excellent choice for a group of friends or a family with two older children. The stunning views also make it the villa of choice for bridal couples. 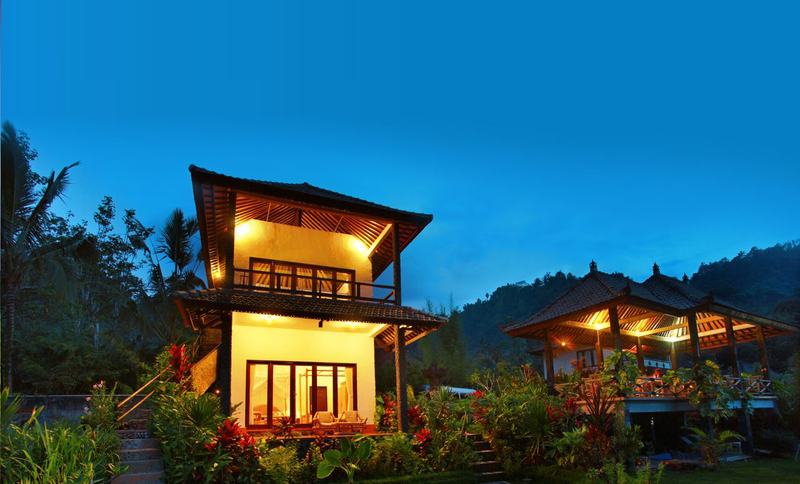 GMV offers three types of villa: Lotus, Jasmine and Frangipani. Prices are given below. Our NETT prices up to 31 March 2019 (with the approximate equivalent in US dollars given as a guideline) are:Lotus costs IDR 726k/US$48 (low season) or IDR 847k/US$56 (high season) per night per separate unit. Children under the age of two (2) years of age who are accompanied by at least one paying adult sleep for free, provided guests arrange their own sleeping arrangements. We have a cot bed available for babies and infants up to 2 years, which can be booked with your reservation for free. Note: the provision of the cot bed is subject to availability, and beds should always be reserved at the time of booking to avoid disappointment.